There are many new and exciting things happening right now, some of it right here in Southern Ontario. It’s time to shine the spotlight on some of these and look at how they relate to our work in Associations. Opening with an inspirational keynote from Shiva Amiri, a tech leader and CEO in the biomedical space in Toronto, working with Machine Learning, Artificial Intelligence, telling her story and the story of her industry which is turning the GTA into a hub of innovation in technology and medicine. We will follow that with several concurrent breakouts on topics ranging from building an action plan for your technology needs to engagement, security and Business Intelligence. As the CEO of BioSymetrics Inc., Shiva is working on delivering a unique real-time machine learning technology for the analysis of massive data in the biomedical space. Prior to BioSymetrics Inc. she was Chief Product Officer of Real Time Data Solutions Inc., she has lead the Informatics and Analytics team at the Ontario Brain Institute, and she is also the President and CEO of Modecular Inc., a Computational Biochemistry start-up company developing next generation drug screening methodologies. Shiva completed her D.Phil. (Ph.D.) in Computational Biochemistry at the University of Oxford and her undergraduate degree in Computer Science and Human Biology at the University of Toronto. Shiva is involved with several organisations including Let’s Talk Science and Shabeh Jomeh International. 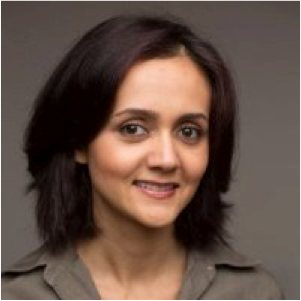 9:00 – 10:00 a.m. Keynote Shiva Amiri, CEO, Biosymetrics Inc.
2:30 p.m. You are on your way!